After 15 fabulous years in Bondi and Balmain we are now expanding to Summer Hill. We are excited to announce that we'll be starting our Baby Ballet and Rainbow Ballet dance classes for toddlers, preschoolers and Kindergarten children in Summer Hill, Innerwest of Sydney next week. 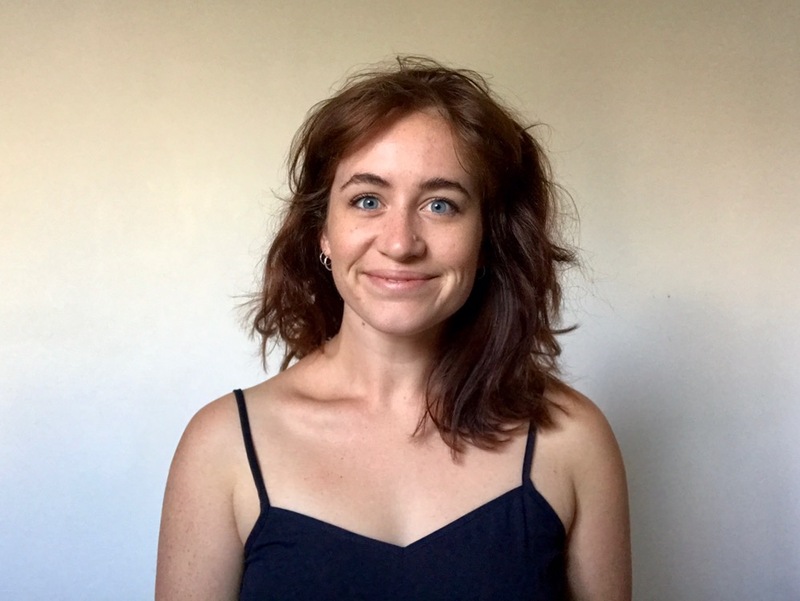 Former dancer, Big Steps Little Feet head teacher and now mum of two boys, Elizabeth Ryan is going to lead the magic, taking our classes on Mondays in the Summer Hill Church Hall. We're launching with two trial classes this term April 1 and April 8 - we will have little treat bags for all the dancers and parents can watch or join in! 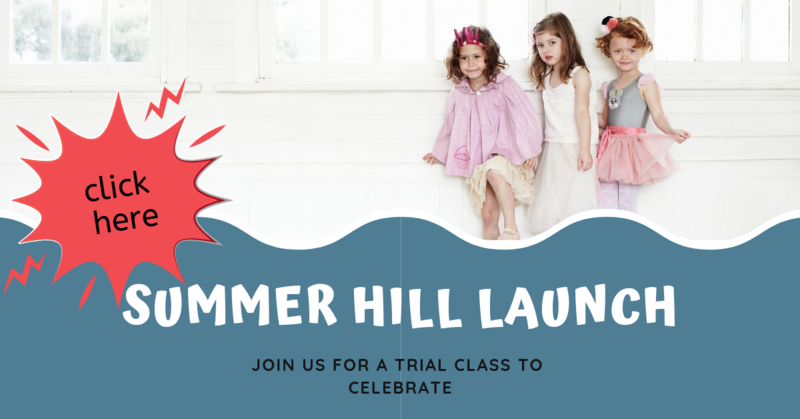 To help launch Big Steps Little Feet in Summer Hill we would really love your support. Please share this post with friends who may be interested. What to wear: Comfy dance wear, eg: soft tutu, leotard & skirt, t-shirt & leggings; bare feet or ballet shoes & bring water. "Georgina proceeded to do the most beautiful, heart-felt and skillful free dancing I had ever seen. Her expression, joy and immersion within the music and movement stopped time. She was mesmerising. I did not want her to stop." That evening, covered in glitter and having just put my own overtired little people to bed, I couldn’t wait to chat with Georgina’s mum on the phone – to share what I had just experienced, and to find out more. 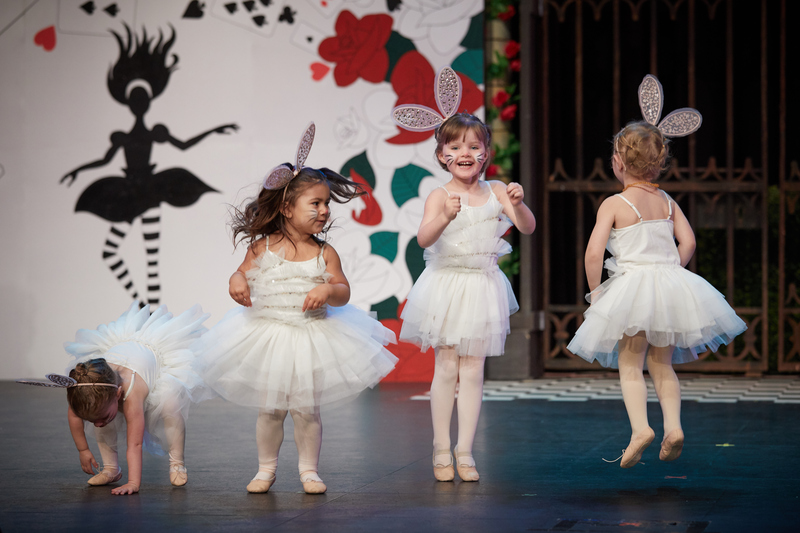 As it turned out, Georgina was obsessed with Darcey Bussell and, while most other two-year-olds were viewing Peppa Pig on high rotation, she would be glued to the screen watching the Royal Ballet perform Coppélia, Ondine, Giselle and The Nutcracker. She knew the story line of every ballet inside and out. If one were to play ‘peeping tom’ on any given evening, peering into the window of Georgina’s family home in the inner city, you would find her mum playing the piano whilst Georgina danced as Clara from The Nutcracker, and her dad having no choice but to join in and dance with her as the prince. What an idyllic childhood. I can only imagine how much fun this must be for Georgina. It could be a scene from an old-fashioned Disney movie I would eagerly await to watch every Sunday evening as a child in the dusty farm belt of rural New South Wales. This image of Georgina reminds me of Disney’s Tinker Bell flying down to set the star on top of the castle alight with a flourish of glittering stars that sprayed across the screen of our Rank Arena TV. Georgina’s story is not an isolated one. Many parents have spoken with me about similar scenarios over the past 24 years as I’ve worked with their children. During this time, I have come to understand that parents want their children to develop stable character traits and values, and a vitality and expression that are authentic to them. They see creativity as essential to the wellbeing of their children, and they believe that movement and dance is the real superfood of our culture. These parents, I have found, establish healthy boundaries and hold space for their dear children to just be. And what makes them happy and proud, above all else, is switching off from life’s demands and connecting, bonding and engaging with their children. It was almost 7pm when I slumped to the floor at the centre of the stage. Even though I had been here many times before, it still took a while to regain the courage to trust the process I had brought upon myself – and the 450 young children in my care. The music was getting louder, the stage manager was shouting to be heard over the chaos and I found myself in a daze, drifting in and out of what felt like a movie scene in slow-motion – a frightening horror film, complete with surround sound at very high volume. The reality of concert season was hitting me hard. I had rocks in my head for trying to pull this off, for trying to work with so many small children. I was seriously questioning whether it was worth the incredible effort involved. And then my eyes focused on a little hand, still with dimples for knuckles, nestled in the soft mauve net of the smallest of tutus – the kind only a loving grandmother could find. The dimpled hand moved to pull at the two thin, pink, noodle-like elastics on the top of her ballet shoe – the ones that, despite all our best efforts, never stay tied in a bow for longer than a minute. As I regained a little more focus, I saw many little fingers pulling at elastics on ballet shoes, and just as many tickling neighbouring friends – for I was sitting among a gathering of lilac fairies aged two years old. But then the lyrical strings of 12 Dancing Princesses by composer Arnie Roth started to fill the theatre. The most-played track in my iTunes library, the music instantly cast its predictable magic and two dimpled hands swiftly pushed their owner’s tutu-wrapped body into the air in one swift burst. And in the flash it took for her to reach centre stage, the other sweaty children waiting in the wings had gone quiet. “I am going to be Darcey Bussell,” announced the lilac fairy with dimples for knuckles, which I now recognised as Georgina from my Thursday-afternoon Baby Ballet class. This little two-year-old was as an intriguing soul. She would often hang back a little in class, just watching, before quietly going about, interpreting each of my dance activities in her own way. And she had never said a word to me all year. But now, amidst the broiling chaos and bubbling frustration, Georgina was announcing her desire to become prima English ballerina Darcey Bussell. “What child even knows of Darcey Bussell?” I thought. My weariness and fears melted away in the pleasure of seeing this little one dance. Georgina proceeded to do the most beautiful, heart-felt and skillful free dancing I had ever seen. Her expression, joy and immersion within the music and movement stopped time. She was mesmerising. I did not want her to stop. In this rare moment, as the goose bumps spread and the tears welled, I realised how privileged I was to have the power to make children happy – to architect experiences that whisked them off into a parallel universe through dance. It is my quest to be of service this way – to hold the space and make this magic happen, regardless of cost, time and effort. Would you like to create wildly popular ballet classes for preschoolers to fill up your studio? This hour to hour and half live workshop is going to inspire you to take action whilst also being educational and insightful. And if you’ve been teaching little ones but haven’t quite managed to hold their attention for the duration of the lesson or you’ve struggled to seamlessly balance the learning of skills and creative free dance. Well guess what? I'm going to show you some great strategies to overcome those challenges allowing you to totally shine and nail this business of baby ballet. When you craft classes that speak the children’s language, it pulls their focus and challenges their creativity whilst nurturing their skill acquisition. Leaving you with happy children and proud mums who rave about you. In my FREE live workshop webinar I’m sharing a program creation blueprint to help you create and deliver your own bespoke program in less that 8 days. Click here to grab your spot. You can have the best systems, processes and marketing campaigns but if your class content is ‘average’ or below par you’re not going to achieve your desired goals and outcomes. Do you want to develop and foster your child’s unique skill or delight in dance? 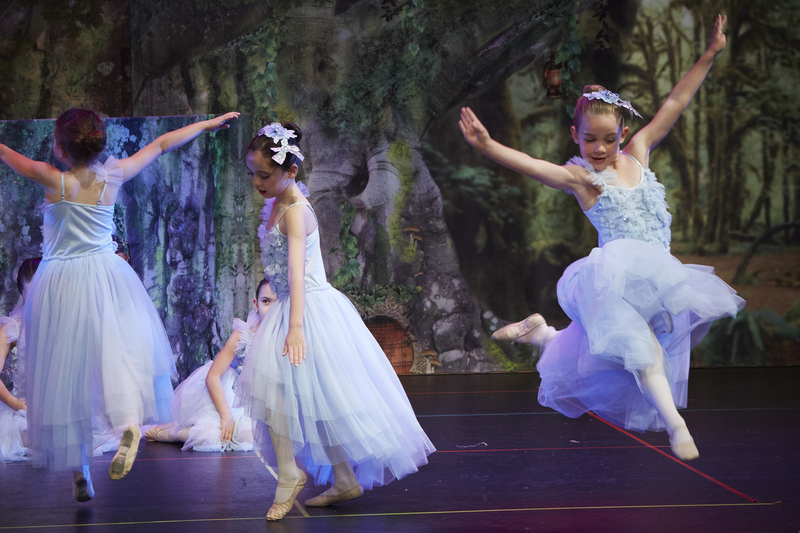 Do you want your child to learn ballet in fun and engaging ways? Do you simply want to know if your child is cut out for ballet? Do you find the market really confusing, the number of studios overwhelming and how do you know what will be best for your child? In truth, all children can dance. Dance being a wonderfully creative solo and group activity, is also great for brain development and self expression. But, not many parents know which dance school is the best for their child, simply because they do not know what criteria to judge by. 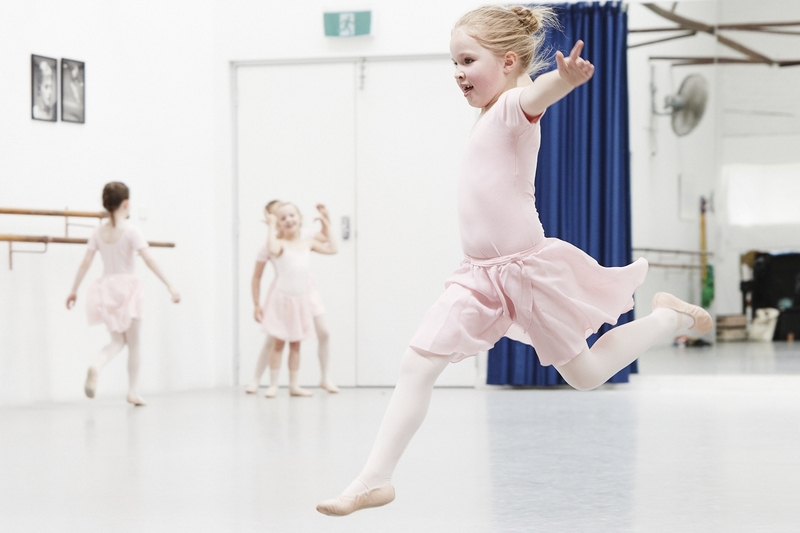 As a parent and dance professional, I understand the dilemma of parents and have revealed seven of the most common mistakes loving adults make when enrolling their child into pre school ballet. They can mean the difference between a child that grows in confidence and one that is never quite heard or noticed, the child that this isn’t afraid to try new skills and the child that misses out, afraid of making a mistake or the child that develops their imagination to share with others and the child that is unable to communicate authentically. Bear these mistakes in mind when choosing a toddler or preschool ballet class and you will be well on the way to having a happy and confident dancing child. "I’ve seen my daughter flourish as a fit, healthy, graceful and confident young girl." We make children happy. Is your child next? Why all the injuries in elite ballet students? Recent study on why elite teenage ballet students are highly prone to injury and what can we do about it. A recent article in the 'Journal of Science and Medicine in Sport' titled Injuries in pre-professional ballet dancers: Incidence, characteristics and consequences suggests that elite, pre professional ballet students age 15 - 19 years are at a higher risk of injury than than other elite athletes of a similar age. On average they are each getting 1.49 injuries and have a 76% increase in injury over a one year period. The ankle was the most commonly injured body part and overuse injuries (as oppposed to accute) were they main type of injury. The high level of training, the repetitive nature of the work and hours involved in class, rehearsals and performance. Ballet in general is becoming a lot more athletic and acrobatic. The lack of resources (mostly time) to provide a wide variety of alternative, compatible conditioning training. A pre professional student is prone to ignoring a minor injury or niggle and will often hold off on seeing a physical therapist of some form until the injury is rather serious. Peer to peer competition and staged competitions where the dancers try to out do each other with the latest trick or flick, to impress upon others to receive awards, scholarships or secure one of the few places available in a company. The students may be carrying a minor tear or have a bad habit developed prior to entry into the elite dance training facility and the workload and competition has caused a bad injury to develop. 1. Stress Fractures of the foot - due to pointe work and weight bearing work load. When a dancer does a lot of jumping (petit allegro and grand allegro) on her hyper-mobile and flexible feet, which are not the best of shock absorbers, this causes the bones and tendons to take the impact of the jump and over time stress fractures will result. From a young age strengthen and articulate the muscles of the feet and calf muscles in fun and novels ways. Wait until the dancer has reached puberty before commencing pointe work. 2. Knee Injuries - due to forcing external rotation from the feet rather the hips. When a dancer constantly works to try and increase her turnout by pushing the toes backwards rather than using the external rotators at the top of the leg and hip, the alignment of the knee moves forward whilst the toes push backwards and the arch of the foot collapses forward. The alignment of the knee should be directly over the centre of the foot when bending especially on one leg in a fondu. If the dancer is unable to maintain this alignment especially on one leg or landing from a jump this causes medial strain on the knee and over time a tear or debilitating injury. Let go of always have to work in turned out positions. From a young age and increasing in frequency as the child gets older work on strengthening the external rotators of the leg in non weight bearing conditioning sessions. From a young age through to 12 years and beyond spend a lot of time working in parallel, especially when landing from jumps in the allegro section of the class. At Big Steps Little Feet we work a lot in parallel, from learning to plie as a 2 year old to learning how to land big jumps as 9 or 10 year old. What I believe is the most important is understanding the action, feeling and mechanics of the skill being learnt and how to perform it with artistry. I believe this is best learnt in the parallel alignment with knees over toes when bending. I call this ‘beta mode’ a super safe way to get the skill right before exposing the body, muscles, tendons and ligaments to the more stressful external rotation alignments. The inspiring Brene Brown has produced a CD that resonates so loud a clear to me. Being an imperfect parent is a gift. How great is that - I'm all ears! Reflecting back on the holidays my heart melts like warm sunshine at the recent memories of such a great time with my children. As promised we are sharing these tasty delights - they are guaranteed to be a hit at your next birthday or school fete. The refreshed Big Steps Little Feet brand is complete. A shiny new, clean image and website is here. We have finally achieved a task that is aesthetic and functional.